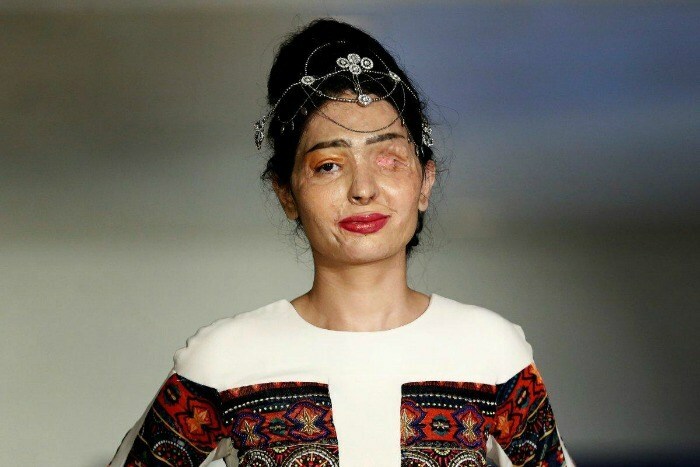 Reshma Bano Qureshi who was attacked with acid by her brother-in-law in 2014, walked the ramp at the New York Fashion Week on Thursday. 19 years old Reshma dressed in a long-sleeved white gown with colorful panels designed by Archana Kochhar, she looked nothing less than a princess by topping her ensemble with a tiara. That acid attack made her face disfigured, but she hasn’t lost her hope and decides to associate with Make Love Not Scars community which helps the acid attack survivors to protests against sellers of acid in general stores. In this video below Reshma Qureshi’s eyes were fully filled with tears when she FTL Moda told her that she will walk the ramp of New York Fashion Week. Reshma steals the show at New York Fashion Week with her princess look. Previous article You Won’t Have to Carry Your Driving Licence And/Or RC Anymore!